With a high sense of responsibility we offer creation and integration of dynamics website just for 250€. The best price in the market. And all that with the quality of our work. 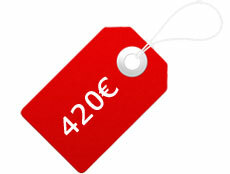 With a high sense of responsibility we offer creation and integration of website with flash technology just for 420€. The best price in the market. And all that with the quality of our work.